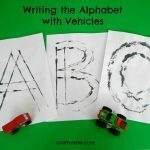 This fun art book for kids is a companion to the Richard Scarry book Cars and Trucks From A to Z.
We’ve had the little board book Cars and Trucks from A to Z by Richard Scarry for over three years! My son hadn’t looked at it for a while, but he chose it the other night and we found it funny all over again! I decided to combine his enjoyment of the book with his interest in designing and drawing, and created this Art Book for him! So if your child loves the book too, here’s what you need to do! 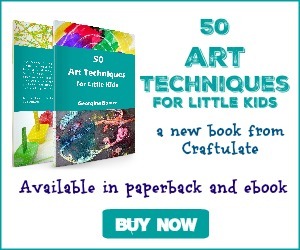 Print out the art book from the Craftulate Store onto white paper. Set aside the top title page, then cut the remaining 13 pages in half on the dotted line. A paper guillotine is useful for this. 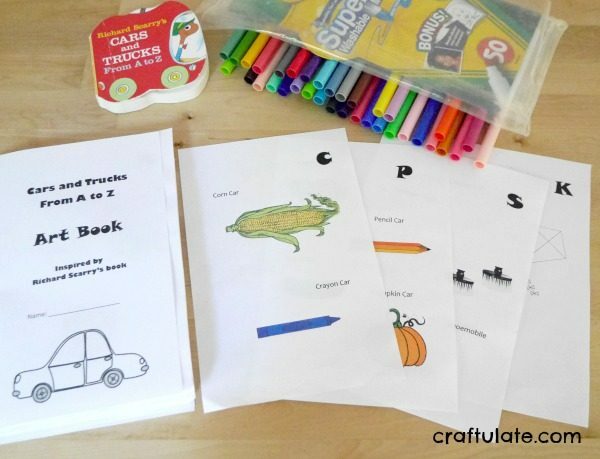 Kids can work through the book in alphabetical order, or choose their own order. I have tried to provide a variety of creative drawing and coloring within the book. For example, for the “egg truck”, there is a picture of an egg, and the child has to get creative and turn it into a truck. For “fire truck” there is a plain simple outline of a fire truck for the child to color in. 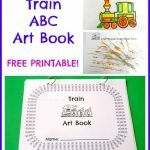 This variety will help keep your child engaged and assist them to complete the art book. My son really enjoyed working through the pages. We did 2-6 pages every few days when he was in the mood. He got very creative with some of them, and did some really nice coloring when he made the effort! We got our metallic markers out for the crown on the “Queen Car” and of course for the “Zippermobile”! Once the book has been completed, arrange the pages in alphabetical order, wrap the title page around them, then staple down the left hand side to bind everything together. 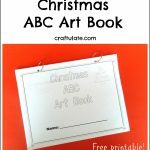 Don’t forget to grab your free Art Book from the Craftulate Shop! 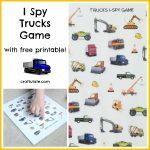 All images courtesy of Clker.com apart from Dump Truck and Taxi Cab (from cliparts.co), Fire Truck and Tractor (from openclipart), Garbage Truck (from colornimbus) and Ice Cream Truck (from clipartpanda).